Just opened fragrant pua keni keni blossoms catching a little sun. 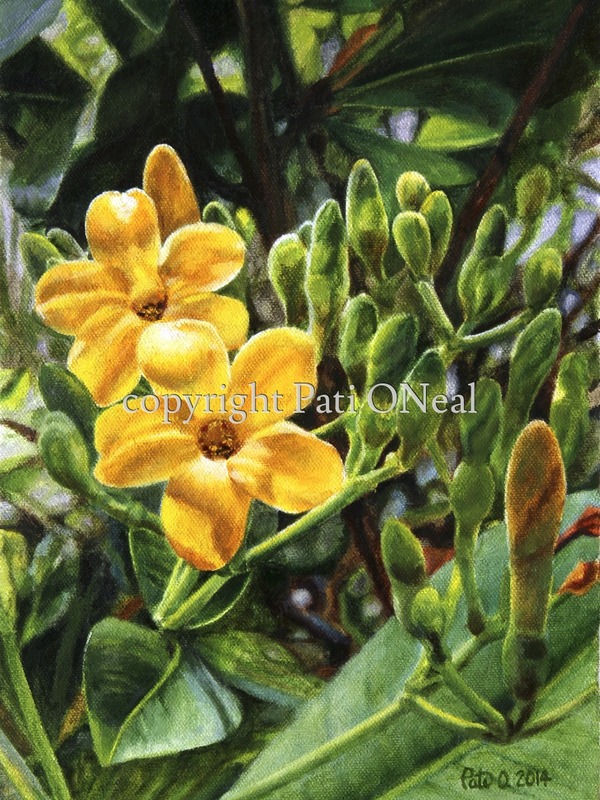 Original oil on canvas framed with a simple frame, currently available at Sunshine Arts in Kahalu'u. Contact the artist for a similar commission.